MSD Organizer Multiuser is a complete, powerful and easy to use personal and professional information manager for networks, with these main features: Personal and professional information manager, with mail, calendar, contacts, alarms, tasks, cards, diary, property, budget, health, music and union (all modules gathered in one). The multiuser version allows every user of a network to keep personal information private and at the same time allows to connect to the server and access the common information and share it with other MSD Organizer users. Contacts can be synchronized with Google Contacts and then with Android devices. The Network messenger allows to send private or broadcast messages to other program users in the local area network. The messages are stored in trays like in the mailing programs. Provides tools to communicate with the contacts by phone, web, electronic mail and SMS messages, and allows to send customizable emails to contacts and email lists. All the records in the program modules can contain an unlimited history. The possibilities of this unique feature are countless. Favorites support for program records and groups, folders, programs, documents, phone numbers, web addresses, email addresses and user defined favorites. 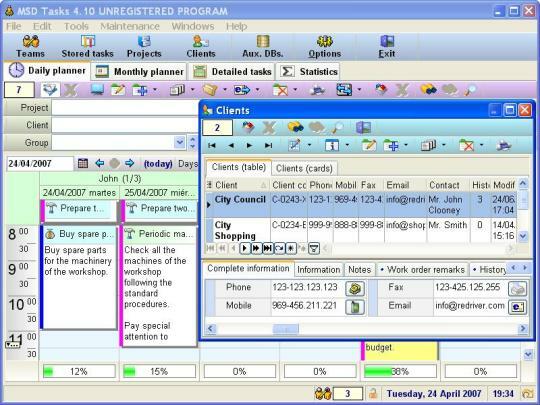 The user may configure the behavior and visual appearance of the program. Easy to use, with windows with similar functionality and controls designed for a short learning curve. Find your information easily, using powerful filtering and searching tools. This features are supported by a powerful relational database manager. Data security, provided by password control and data encryption. The information is protected during program execution and after closing the program. The backups may also be password protected. Data Import/Export, provided by tools that allow the exchange of information with other programs. 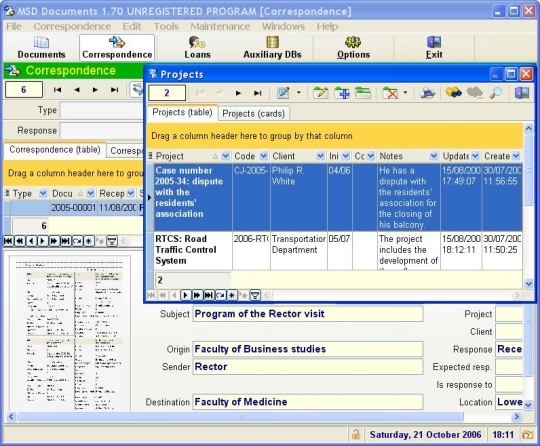 Complete reports, with different sorting and classification possibilities. Version 13.5 features improvements in Calendar and Alarms modules. Several improvements in Email, Calendar, Alarms and Tasks modules. Improvements in the Electronic Mail module.